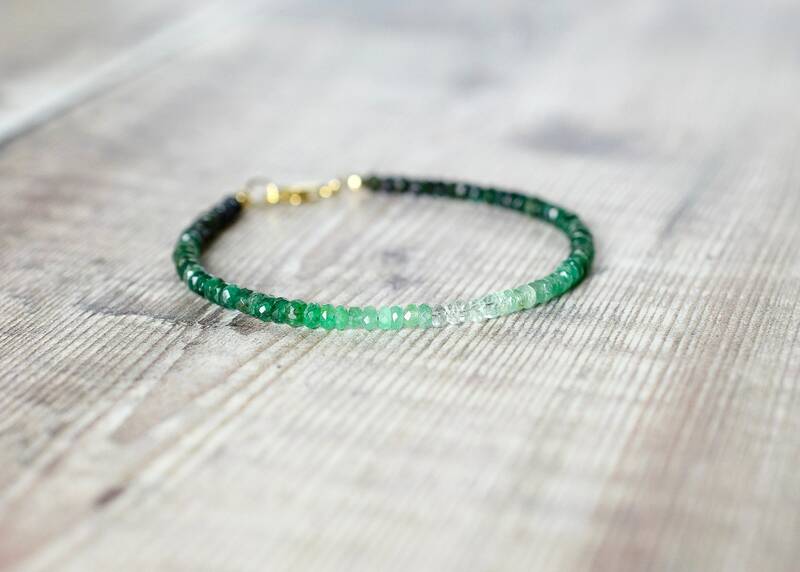 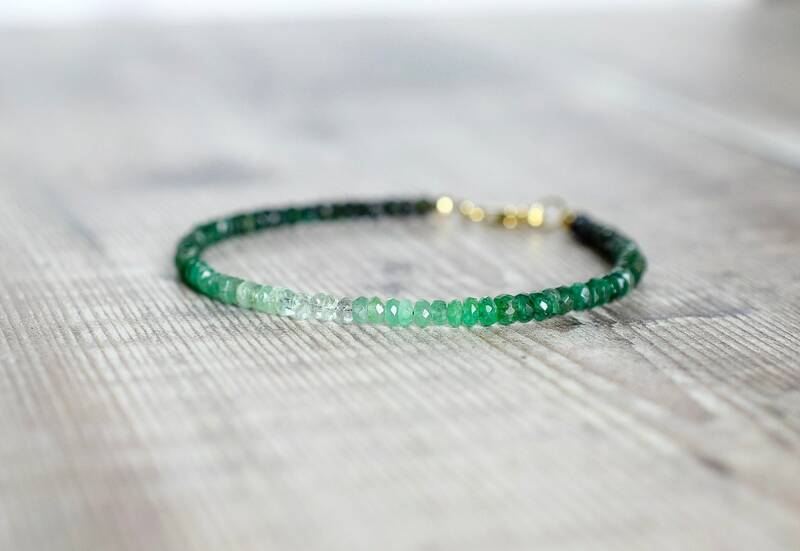 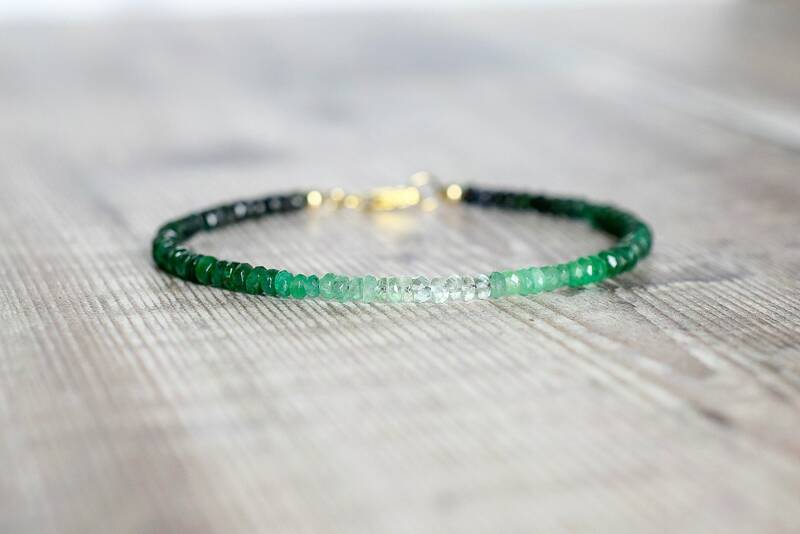 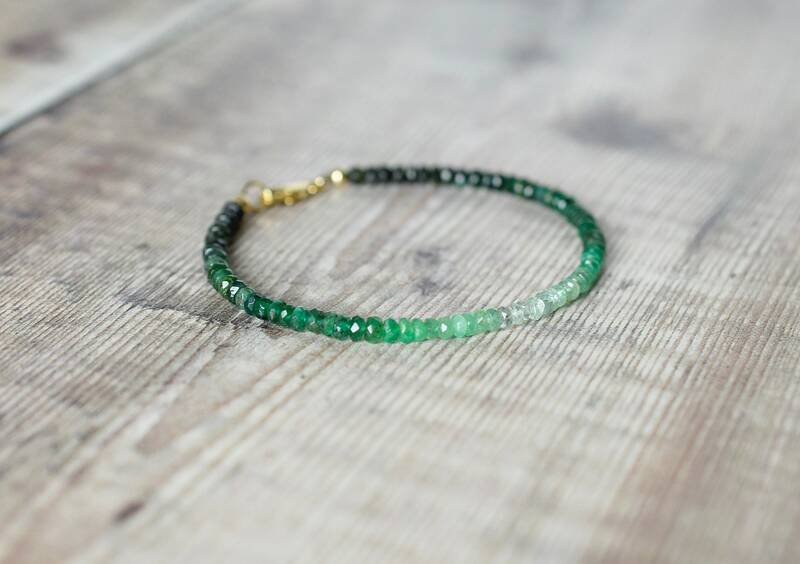 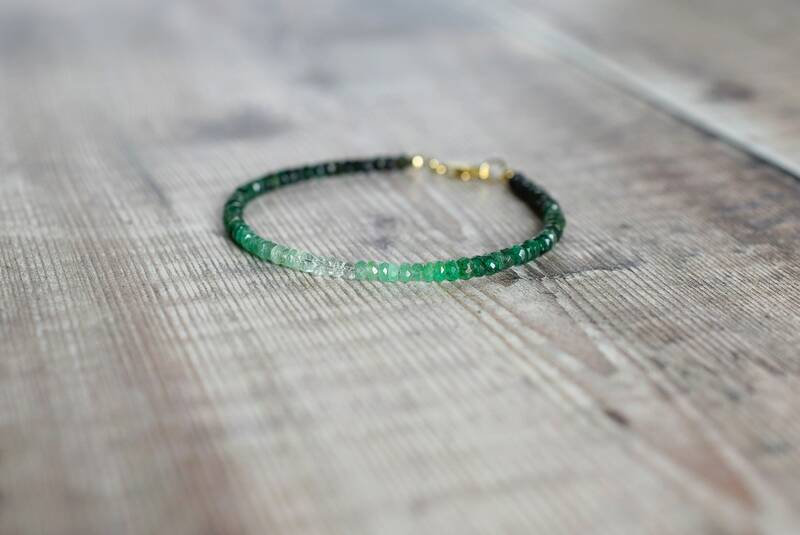 This Emerald bracelet is designed with vibrant, natural Emerald beads that are strung in graduating tones from dark green through vibrant green to crystal clear at the centre. 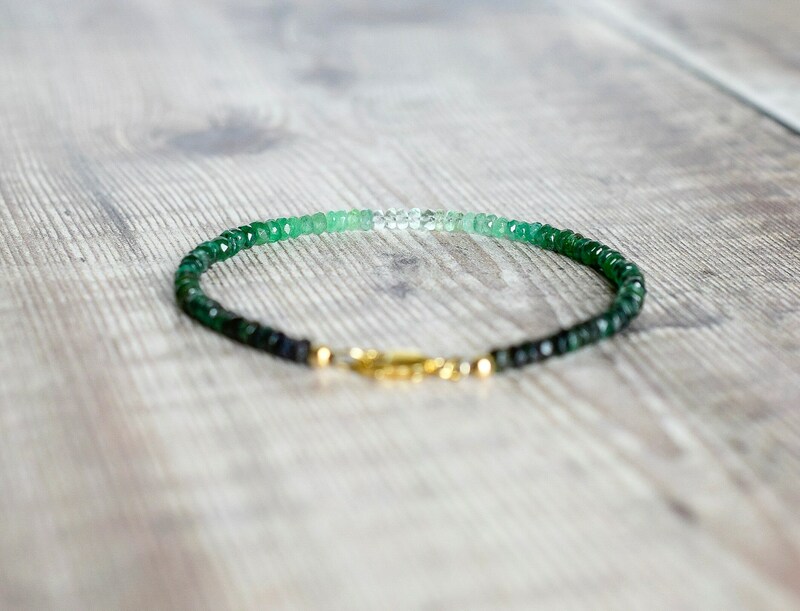 The bracelet fastens with a 14k gold filled Lobster clasp. 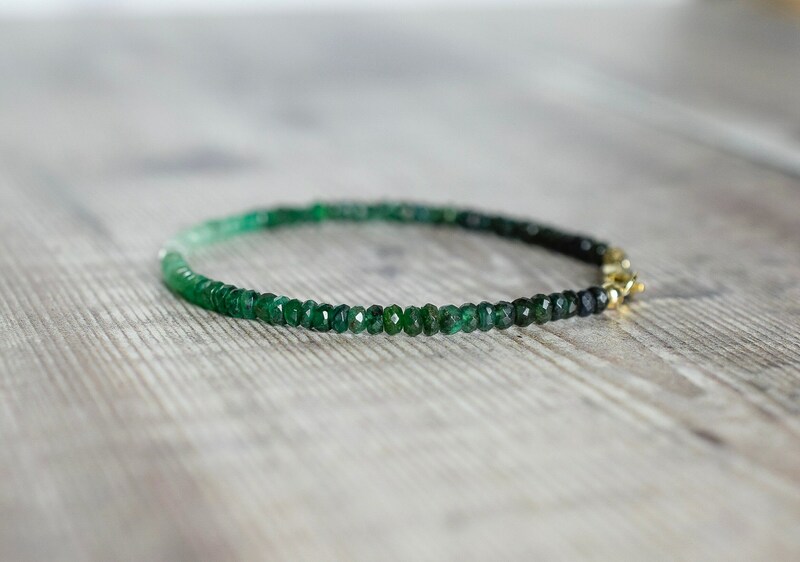 * The Emerald beads measure 3.5mm. 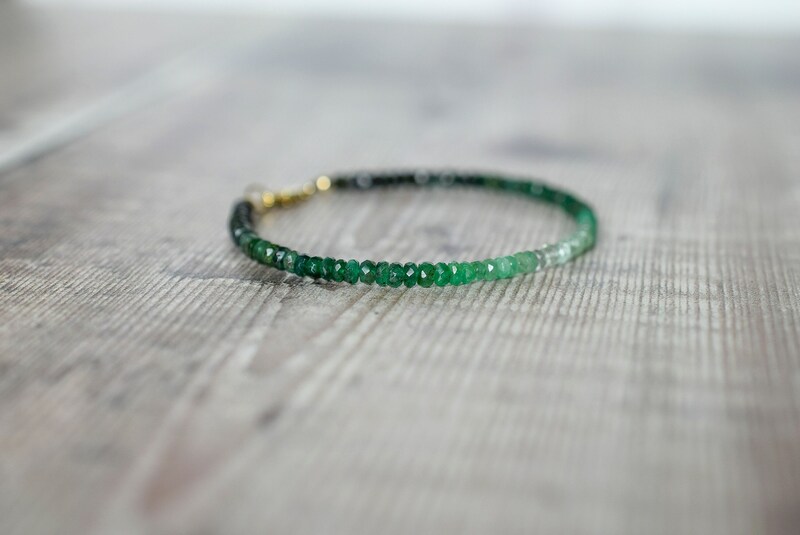 * Emerald is the birthstone for May and is the gemstone for the 55th Wedding anniversary.